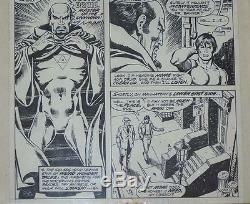 1 #210 PAGE 2 BUSCEMA ORIGINAL ART ERNIE CHAN INKS (1977) and original comic book to go with it. View pictures for a good description. Synopsis for And Call the Doctor... Doctor Druid finds Bruce Banner in an alley and asks him for Hulk's help. According to Druid, Hulk's strength is the only hope to prevent the Maha Yogi from conquering or destroying the world. Bruce offers his help but refuses to turn into the Hulk. Druid takes Banner to Yogi's mansion where they are attacked by mercenaries. Hulk "wakes up", defeats them easily, and reaches Yogi, who uses his mental powers to take control of Hulk. Druid does the same thing, and both wizards start battling over the Hulk's control. The Hulk can't take it any longer, and knocks himself out by hitting his forehead very hard on the floor. Druid now faces Yogi alone and the villain is aided by his strongman Mongu. Meanwhile, Glenn Talbot and Betty Ross file for divorce. If you prefer a method I do not offer just ask for a quote. 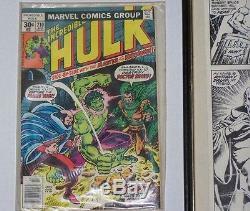 The item "THE INCREDIBLE HULK Vol. 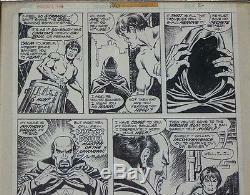 1 #210 PAGE 2 BUSCEMA ORIGINAL ART ERNIE CHAN INKS" is in sale since Friday, July 01, 2016. 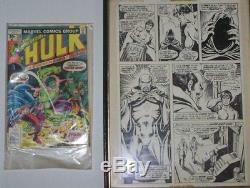 This item is in the category "Collectibles\Comics\Original Comic Art\Interior Pages".dicks" and is located in Sedalia, Missouri.